Your Film Fiesta ticket gives you VIP entrance into a weekend of special films, special guests, and parties at our brewery and art galleries. It also includes entrance into the Saturday debut of T or C’s Comic-Con for all you comic book fans, including our own local hero Ashe Cravenook, winner of Forged in Fire’s Sengese knive competition. We join the Veteran’s Car show on Saturday, just the coolest pristine classic cars. And Art Hop Saurday night. A whole weekend of Heroes, Hops, and Hollywood! Add to that our year round fantastic hot springs for a weekend to remember! 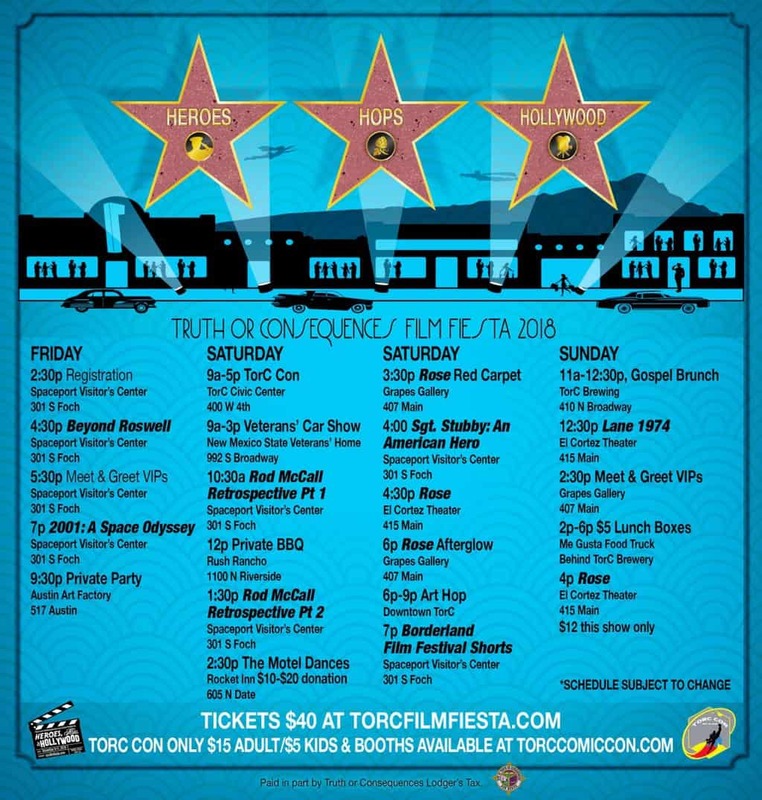 See www.torcfilmfiesta.com for more information, to purchase tickets, or give sponsorships.